For my internship this year at Parkway United Church of Christ in Winston-Salem, NC I was asked to explore the spiritual practice of Deep Listening through the Enneagram. As a part of my work there I’ve been asked to do a small blog series about my learnings through that study and to provide resources for further development. What follows is an excerpt from a paper I wrote which explains the process I engaged. When Rev. Craig Shaub, pastor at Parkway United Church of Christ in Winston-Salem, met with me to begin conversations on what form my internship would take with the church one of the first things he shared with me was the mission statement of the church: “Through God’s Spirit, we listen deeply, grow in community, and act for justice.” He shared with me the church’s strong passion for social justice and was looking for ways to further develop what it means to listen deeply for the congregation. This helped me to develop the overall framing question for my Ministry Practice Project. Though my question took many forms throughout the year, the question that summed up each of those facets is how does the spiritual practice of deep listening foster personal and communal growth? My first task was to discern what it meant to deeply listen. Through my research I came across a sermon by UCC Pastor Rev. Joy Haertig, who proclaimed: “Deep listening can reveal so much about others—about God—about the mysterious power of Love that pervades the world we live in. Deep and patient listening to ourselves gives us the space to see the shadows and the light of our lives; deep listening gives God a place to dwell within you.” With that definition in mind the first thing that I connected as my way in to that question was through using the Enneagram as a tool. The Spirituality and the Enneagram class this semester provided me with the opportunity to engage my own deep listening. As I began laying the groundwork for a new ministry at Parkway, I rekindled an old interest some of its members had in Enneagram study and applied it to listening deeply to self and other. Sandra Maitri, in her book The Spiritual Dimension of the Enneagram: Nine Faces of the Soul, identifies what she calls ‘The Fall,’ or a loss of contact with our innermost being. She argues that the perceived loss is not a loss of our being, but rather losing touch with it, which can be remedied through spiritual development, the process for which comprises the majority of her book. For this project that spiritual development becomes the process of deep listening. Maitri further explains that through deep listening of self, through bringing consciousness to our bodies, welcoming and experiencing the sensations, emotions, and thoughts that rise up we are able to move more deeply into self and regain that contact with being we have lost touch with. Ultimately this work results in a life lived with more compassion toward self and other, that when used in a congregational setting can create an environment more welcoming to all. Spirituality and the Enneagram also provided exposure to a structural model for my project as well. The Universal Growth Process in Dr. David Daniels’ book The Essential Enneagram provided the backbone for my Ministry Practice Project and the experiences engaged within it. This book, as I understand it was also engaged in Art of Ministry II. The Universal Growth Process found in Section 2 is comprised of four interrelating parts: Awareness, Acceptance, Action, and Adherence. Awareness, through self-observation, is the only way through which change, growth, and development can occur. In order to facilitate a greater awareness of self through the enneagram I coordinated for a group of Parkway’s members to attend an introductory seminar on the Enneagram through the Servant Leadership School. 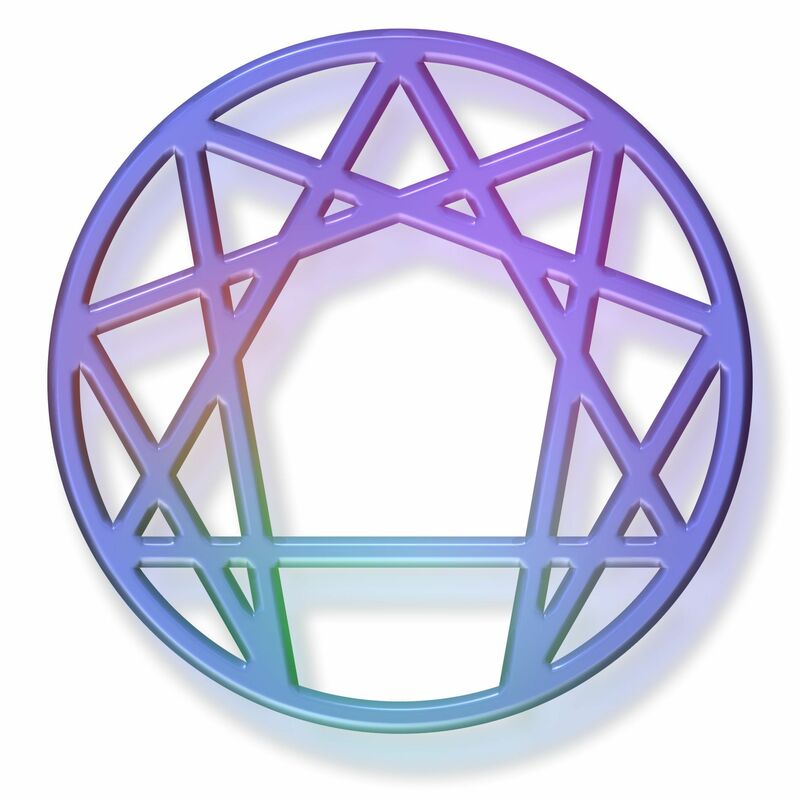 The seminar was designed so that individuals who have no experience with the Enneagram can learn the purpose and history of the system and discover the type with which they lead. The seminar offered a possibility of greater awareness of self through the deep listening Enneagram work provides. The next phase is Acceptance where deep listening occurs through opening up to self and accepting whatever arises in those moments, adopting a relationship with self and other based on care and kindness. Daniels makes the distinction between acceptance and agreeing or condoning what arises. Instead acceptance involves sitting with what comes up. After the seminar I engaged in one-on-one meetings with the participants to help them process. We discussed what they had learned, what questions they had as a result of their new awareness. I offered a safe space in which these learnings were processed and offered additional resources to each based on our conversations. Third, Action, has three sub-phases: Pausing when reactions, moments of emotion or distress arise and centering oneself; engaging in gentle reflection or Inquiry to learn more about what caused a given response; finally leading up to Conscious Conduct where the deep listener stays with their experience and moves into action that is both compassionate and respectful of self and other. Throughout the semester Parkway paused and reflected during a quarterly Silent Sunday service where I shared the poem “Wild Geese” by Mary Oliver and asked worshipers to reflect on, among other things, what their despair offers to the world. Additionally during another service Amazing Grace, the dance ministry at Wake Divinity, performed a piece in order to both embody a message and provide a visual representation of it in the hopes of including congregants who are better able to engage in the process of Action in a more visual way. Finally two of the members who participated in the Enneagram seminar will be offering testimonies of their own journey toward deeper listening at a service later this year. The last part of the Universal Growth Process is Adherence, or commitment to the process as a daily practice. To that end I worked with Rev. Shaub to acquire new Enneagram texts and resources for Parkway’s lending library, I am finalizing some shorter print and electronic resources that more closely engage this process focusing more closely on the particularity of each individual type and in order to continue engaging this ministry after I am no longer an intern Parkway has now connected with Chris Copeland, whose knowledge came up frequently in my mentoring sessions, in order to plan further congregational exposure to experiences of deep listening through the Enneagram hopefully starting next fall. The Universal Growth Process, much like Enneagram study and deep listening themselves, is a lifelong journey. Through my Ministry Practice Project I endeavored to lay the foundations for a ministry of deep listening that will hopefully continue long after I graduate. The process of deep listening here not only provides for the opportunity to get in touch with the innermost being of the self, but also with that knowledge, allows for deep listeners to also more actively engage in deep relationship with one another, and by extension for growth as a community, through indwelling with God. Parkway United Church of Christ. Parkway United Church of Christ Winston-Salem. 2014. http://www.parkwayunited.org (accessed September 19, 2014). Deep Listening. Sermon by Rev. Joy Haertig. Richmond Beach United Church of Christ, Shoreline. March 6, 2011. Sandra Maitri. “The Inner Triangle and the Fall.” In The Spiritual Dimension of the Enneagram: Nine Faces of the Soul, by Sandra Maitri, 23-41. New York: Jeremy P. Tarcher/Putnam, 2000. 30. David Daniels. “Elements of Personal, Professional, and Spiritual Development: The Universal Growth Process.” In The Essential Enneagram: The Definitive Personality Test and Self-Discovery Guide. 80-82. New York: HarperCollins, 2009. 80.